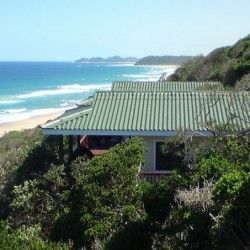 Vista Alta Lodge is situated halfway between Ponta do Ouro and Ponta Malongane. Accommodation is provided in 5 upmarket and spacious double air-conditioned bedrooms with DSTV (bring own decoder and smart card) and en-suite romantic bathrooms with tub and showers. Each of the double rooms has a small deck with superb ocean views. The family unit can accommodate 4 people (1 x double bed and 1 x single bunk bed) but has no seaview and shower only (no bathtub). The rooms are equipped with complimentary tea and coffee and a bar fridge stocked with beverages, beers and ciders (at additional cost). To ensure your stay is comfortable, umbrellas, chairs and beach towels are also provided. Vista Alta Lodge is not a self-catering establishment, nor do they offer meals on site. These may be enjoyed at a nearby restaurant which also has a swimming pool. Set amongst a forested sand dune, the panoramic sea views are amazing and the walk to the beach is approximately 300m. Ales was great daar by julle. Ons wil baie graag weer daar by julle kom bly. Baie dankie vir al die moeite, ek sal al die ratings 5 uit 5 gee. 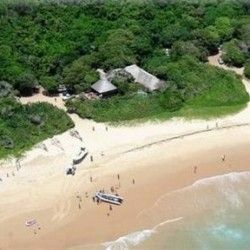 Loved Vista Alta - been to Mozambique a couple of times and it was the best so far w.r.t accommodation. You can put down 5 for all. It is a really beautiful place although my stay was to short, I would definitely go and stay there again. We thoroughly enjoyed our stay at Vista Alta – our room was very large, comfortable and beautifully decorated, and the view from our balcony was stunning. We very much enjoyed the long walk along the almost deserted beach to Ponta and were very grateful for the assistance of the hotel owner in organising taxis at night. The only thing which would have improved our stay would be continental breakfast facilities in the hotel itself and some toiletries (but these are very minor points!). We would definitely recommend Vista Alta and hope to return one day.